Is Kauai your wedding destination? Either you've been to Kauai and already have your site chosen or it's always been a fantasy and you don't know where to begin. Here are a few tips and a few links to get you started. 1. A wedding license must be obtained. Cost is $65 payable to the wedding agent. 3. A marriage license application can be dowloaded frm the Hawaii State Government site: http://hawaii.gov/health/vital-records/vital-records/marriage/index.html. 4. The marriage license expires 30 days from and including the day of issuance. 5. If the wedding is to take place on a beach, a permit must be obtained by the Department of Land and Natural Resources (DLNR). The fee is 10 cents per squaare foot per day. 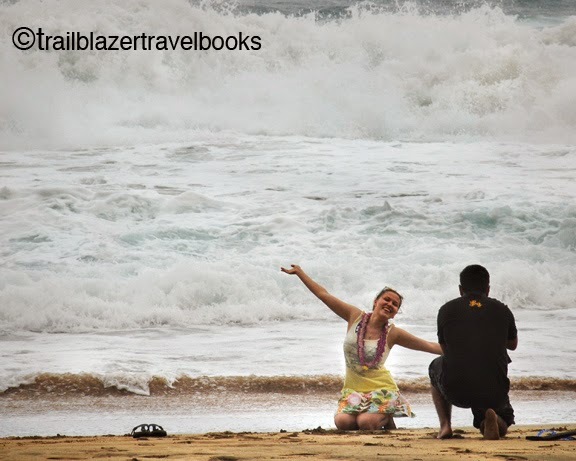 If you want to scout locations, begin by looking through the pages of No Worries Hawaii or the Kauai Trailblazer guidebook.